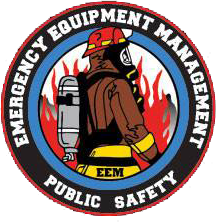 Force Protection Specialist - Emergency Equipment Management, Inc. This place has alot of good stuff for fire/emt . every time i have been there ive had great help from both the older guys and the younger girls. they always recognize me when i come in to pick up my gear. boot selection is a little low, but thats the only draw back. Emergency Equipment Management has been a pleasure to deal with. I came in with a full list of gear and equipment that I needed and they were able to provide everything at a fairly decent price. I would have to agree with William's review that their boot selection was not the best so I didn't get my boots there. That said, everything else was great. The only reason that this is not a 5 star review is because I have been waiting for nearly two weeks for a call back... They originally told me that they would call me in a couple of days (I may update the stars once I hear from them).